Home / Brands / Ballyhood "Top Gun"
Ballyhood International has been producing custom big game trolling lures since 1992. Darrell Primrose, former owner operator of the “finisterra tortuga” sport fishing fleet in cabo san lucas brings years of experience AND FIRST HAND KNOWLEDGE to the design AND manufacturing process OF HIS LURES. 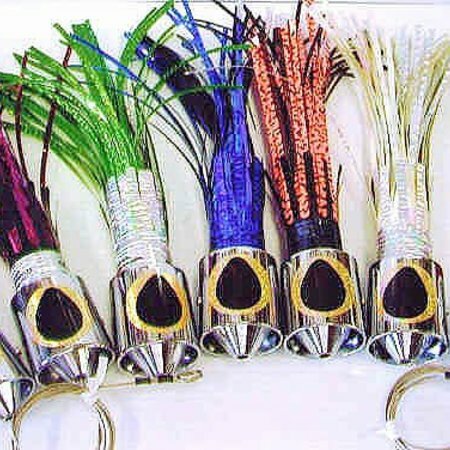 we specialize in tunA, MARLIN, SHARK, and wahoo trolling lures. OUR CUSTOM BIG GAME TROLLING LURES ARE SOLD MANUFACTURER DIRECT.